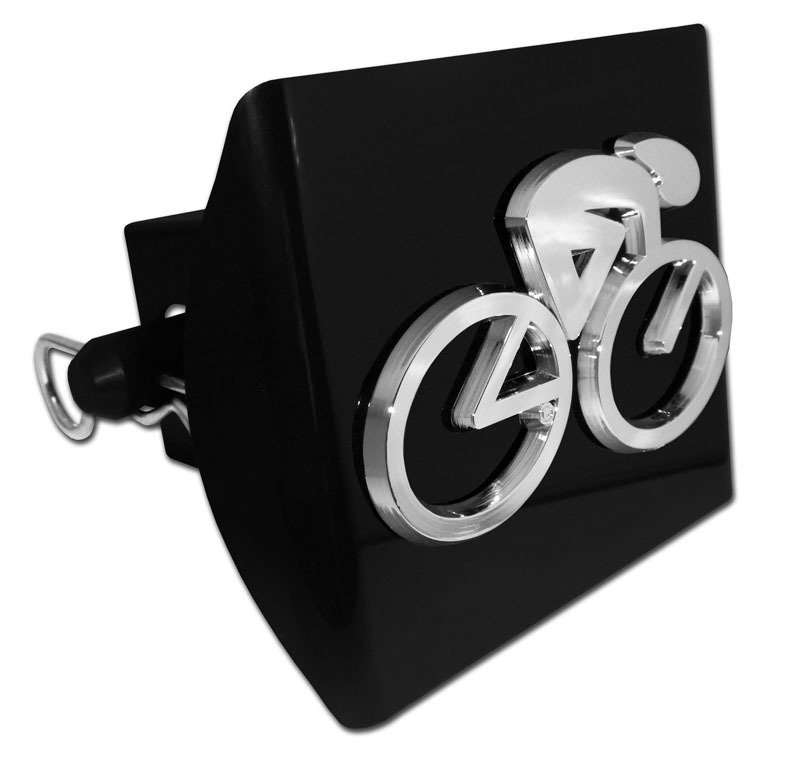 Cycling PLASTIC hitch cover (front plate is 5” x 3.5”) by Elektroplate. 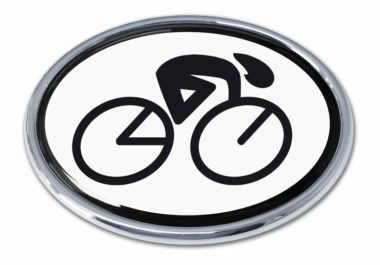 Comprised of OEM (ABS plastic core with a chrome-plated metal finish) Cycle emblem adhered to an automotive grade black ABS plastic hitch cover mount. Hitch cover fits standard 2” trailer hitch receivers (if it does not fit perfectly, you may return for a full refund). All Elektroplate plastic hitch covers include a hitch pin and clip. 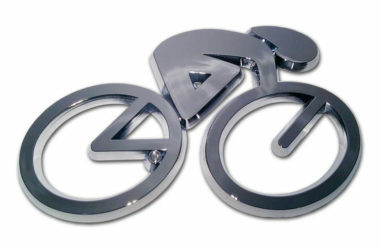 The affixed reflective logo is made of outdoor grade materials that can withstand harsh outdoor conditions. 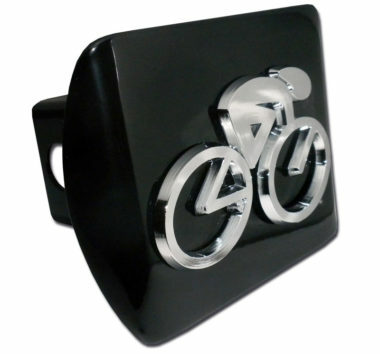 Our auto accessories are the perfect way to showcase your Cycling pride everywhere you drive. In addition, all Elektroplate hitch covers are packaged in elegant retail packaging to make a great gift! FREE shipping on all orders over $25.